As a result, much of Scandinavia’s beautiful landscapes and picturesque villages are largely unexplored by travelers, who in my opinion are missing out on something really special. The truth is that Scandinavia can dig a deep hole in your pocket – but if you know how and where to spend your money you can get away cheaper than you think. Depending on where you go prices can vary quite a bit – if you’re in Stockholm, Gothenburg or Malmö the restaurants in the main area tend to be a lot more expensive than those further from the city center. If you want to sample the Swedish culture and taste typical Swedish food, one of the cheapest and best places to go for this are the “gatukök” (street kitchens), basically small street side hot dog huts. There you will find cheap fast food like Swedish meatballs with mash potatoes, or the favorite “halv special” sausage dish which was invented in Gothenburg in the 1930’s. Although nothing can compare with Italian pizza, the Swedish pizzas have some very unique toppings that are a must try … prices vary between 6 to 15 USD. Swedes love going out for coffee (fika) and lunch, and during lunch hours you will find some great deals – by making lunch the main meal of the day and instead have something small for dinner you will end up saving a lot of money. Supermarkets are always cheaper than eating out, however, some are cheaper than others, and the price difference will surprise you. When it comes to transport in cities, you can easily walk around on foot – if you want to spend a few days, you can buy day passes for trams and subway. Biking in Sweden is generally really easy and a great way of getting around, so hiring a bike or taking one of the city bikes that are placed around Gothenburg and Stockholm is definitely worth it. Train and bus – at first glance their prices look outrageous, but if you just plan ahead you can get away really cheap. Book 90 days before departure – that’s when the tickets are the cheapest. Unless there is a special campaign going on, the closer to departure date you get the more expensive it becomes. Look for tickets on Tradera (like e-bay) or for last minute deals on SJ’s (the train company) website. GoByBus is one of the best budget bus companies in Sweden (which runs routes between Denmark, Sweden and Norway). Last minute tickets booked the same day are always the most expensive ones. Finally, a last tip for those truly dedicated to saving on accommodation: bring a tent and camp in nature – it’s free. 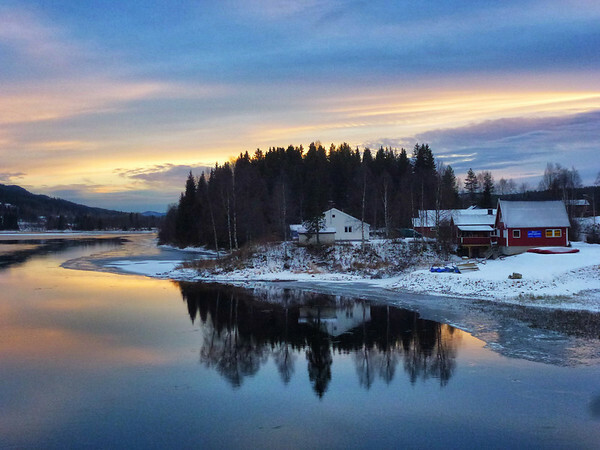 These are just a few of many ways to cut your costs when traveling in Sweden. Sweden and Finland – The Europe Train Challenge Is Done! This week we can proudly say – WE MADE IT!! Not only did we make it in time, we actually finished earlier than the 3-month mark – 75 days through 30 countries in Europe. What a journey it has been – we’ve had many questions throughout the challenge, all from how we planned the trip to if we were having fun traveling at such a high pace. It has been an experience of a lifetime, and we will make sure to share everything we have learned and our experiences from the past 2.5 months on here soon. Helsinki was a random place to end the challenge. Being in the far northeast corner of Europe, neighboring with Russia, we sort of ended up in the place of nowhere, with no place to go. But first things first: Sweden. The old town with its charming streets, and the islands with its fresh, nature-bound vibe. This capital city is unlike any other capital I’ve seen. Usually capitals are stressful, busy and polluted. In Stockholm that vibe is strictly limited to a few streets, and you can easily escape this and completely forget that you’re even in a city. Wherever you go you’re never far from the water, and often completely surrounded by it. Where else can you not only swim, but actually go fishing in the middle of the city? In Stockholm it’s a common sight to see people getting off the subway with fishing rods in their hands, on their way to the parliament – to go fishing. Looking over the amazing views over the city from Herman’s cafe in Södermalm, I felt rather proud over my country, with the beautiful nature and lovely people. The next stop was our final destination on the Europe Train Challenge journey. For so long this challenge had been our certainty, and we were getting so used to it that the thought of not having it was more uncertain than anything else. We thought we would be completely exhausted, celebrate that we made it through and stay put for a while. But when we finally arrived in Helsinki, we felt two sided about everything. We had no idea of what to do next, so we did what we were most used to doing: we just carried on traveling. Helsinki was much better than I had expected. Now I feel like I have a better idea of what this country, which for me has been a bit of a blurry spot on the map, is really about. We had a great time and met some people who made a big impression on us, and Suomelinna island was beautiful! We have succeeded in visiting every single country on the InterRail passes – but that doesn’t mean that we’ve seen every country in Europe – 50 countries aren’t there? It made me really appreciate Gothenburg and realize what a great city it is for tourists. Sweden is in general often overlooked as it is off the typical ‘beaten track’ of most backpackers’ Europe trip, which is a shame. Short History: After many failed attempts Gothenburg was finally successfully founded in 1621. It had been difficult to found since the place was a total swamp, but with help from Dutch city planners (who had the skills for that) it was possible. That’s why it looks so similar to Amsterdam. Gothenburg is known as the event city of Sweden or the city of culture, hosting heaps of music festivals and other cultural events every year (mostly in summer time). The city is set right by the ocean on the west coast of Sweden. It is the second largest city in Sweden, but it still doesn’t feel like a big city. There are practically no high rise buildings in the city center, and there are big parks and green alleys all over town, with a big canal flowing through the city. The best park to visit for younger people is Slottskogen. This is where the festival Way Out West takes place, and where the people go to hang out on nice days for picnics, outdoor games and sports or just sunbathing. The area is big and people also tend to stay around til late at night drinking and hanging out being social. There are many nice walks there and the park is like an outside Zoo, but free of course. There you can find all from penguins and seals to typical Swedish animals like Moose. If you’re more interested in flowers and plants, the Botanic garden (just across the road from Slottskogen) is a nice place to go. If you’d like to get out of the city there are many places to go. There are quite a few lakes to go swimming in or just go for nice walks, and you can also take a bus or tram to go swimming in the sea or from the islands. There are a few beaches but people in Gothenburg are quite fond of rocks… most people like to sunbathe on the rocks and jump off from them into the sea. You can also go island hopping between the pretty islands right outside Gothenburg. There are two areas to choose between. One is only half an hour away with the tram nr 11, and from there you can explore the small islands and the idyllic life by the sea. The main street in Gothenburg is the Avenue. It’s a long, wide street that reaches from the museum and concert hall all the way down past the shopping area down to the harbor and the Opera house. Best time to visit is definitely in spring and summertime. I’d actually recommend you to avoid going there in Autumn/winter, the weather can be horrible. Shopping is easy and fun in Gothenburg. You don’t have to travel far distances between the shopping areas, they’re all really close to each other. The most beautiful areas to go shopping is on Vasagatan and in Haga. Haga is the city’s old quarter, renowned for its well preserved and picturesque wooden houses, 19th century-atmosphere and cafés. Shopping in the unique little boutiques along the cobbled stoned streets you will find handicraft, second hand shops, fashion, design and antique shops. There are often markets held here that are well worth a visit. Vasagatan has even more Cafés and restaurants, but also plenty of small boutiques. You walk along the road in a green alley, with the trees stretching over your head. The houses in these two areas are renovated but kept in their 19th century style, which gives it all a nice touch. As I hate shopping in malls and prefer each shop by itself so you can get some fresh air before entering the next shop, I won’t bother telling you about Nordstan and NK, the two shopping malls we have. A better choice is shopping on Kungsgatan and the area around there, which is right next to the malls. Nearly every restaurant and Café have lunch offers, and the deals are pretty good. I would really recommend eating at the Greek Soup Kitchen in Saluhallen. The food is delicious and the price is cheap. My favorite Greek Lentil Soup costs 40 SEK. Saluhallen is a nice place to visit, it’s like a big indoor market where restaurants, fruit stalls, butchers and chocolate factories all share the same roof. My second favorite lunch place is the Indian restaurant ‘Tre Indier‘. It’s the best Indian restaurant in town but you can’t tell by their lunch offer prices at all. Pretty much all Sushi places have good lunch offers. The best Sushi I’d say is Chop Stix on a side street of the Avenue. 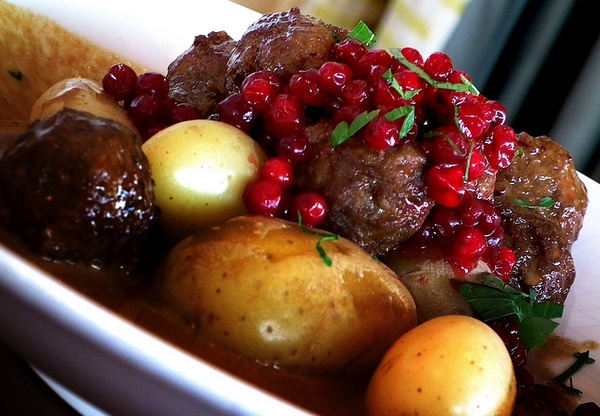 It’s actually harder to find typical Swedish cuisine than most other cuisines. Restaurants serving Swedish food are usually quite fancy and expensive. The cheapest choice would be the “Sausage Stalls”. Sausage in bread with mashed potatoes is for Swedes what the hamburgers are for Americans. If lunch time is over and you’re looking for some dinner, don’t hang around in the Central area looking for a cheap restaurant. The best and cheaper restaurants are actually found closer to Järntorget. Indian and Thai restaurants usually serve cheaper food, but Pizzerias and Kebab places will always beat their prices. If you walk along Linnégatan and the streets around there there will be heaps of restaurants to choose from. Cafés are extremely important for Swedish people, they’re part of the Swedish culture. 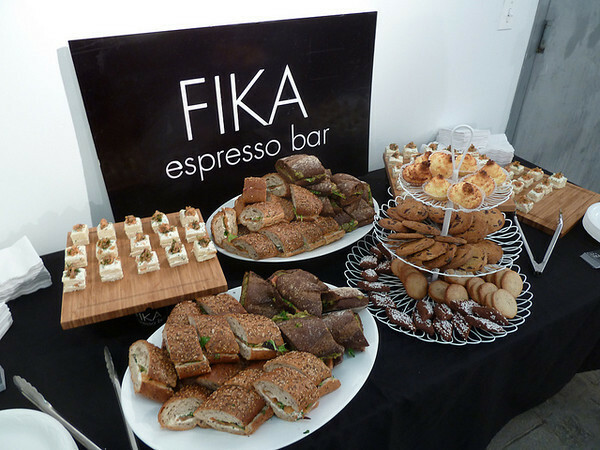 Swedish people love their cafés, they go for something called ‘fika’ almost every day. At home they have ‘fika’ a few times per day, it’s like Tea time in England I guess. However, there are cafés around every corner here, but the best ones are definitely around the older parts of town like Haga, Linnégatan and Vasagatan. Café Ethels, Linnégatan – Very cosy and cute Café with delicious food. Egg & Milk, Linnéplatsen – An American morning café inspired from the 50’s. If you’d like to see more Cafés in Gothenburg, there is a café map over the whole city. Click here to get there. There are always events going on in Gothenburg, but summertime is probably the peak with weeks of ongoing partying. Way Out West, Metal Town and the Jazz festival are the three biggest music festivals during he year, where big artists from all over the world come to preform. 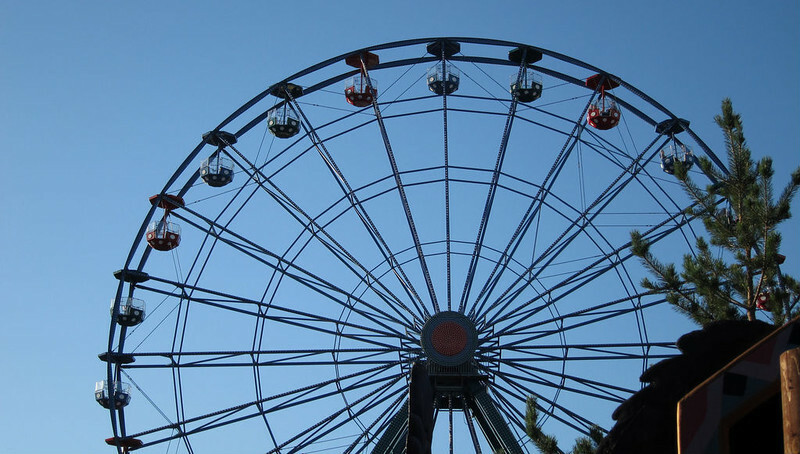 Liseberg – Scandinavia’s biggest amusement park, is actually a lot of fun. Gothenburg’s Botanical Garden – A nice park to stroll around in and have a picnic, or just look at some of the 16,000 species that grow here outdoors. Universeum – The national science discovery center with rain forest, aquatics and such things. Trädgårdsföreningen – One of he best preserved 19th century parks in Europe, right in the center of the city. There are trams and buses going everywhere, and the same ticket is used for both. You can’t buy tickets from the driver, instead you have to buy your ticket from newsagents such as Pressbyrån, 7-Eleven or anywhere displaying the Västtrafik sign. You can also buy tickets by text message (if you have a Swedish mobile phone operator). These tickets are valid for 90 minutes, and you can travel as much as you like in any direction within that time. If you are going to be doing a lot of travelling, then buying a short-term top-up card is the best option. This card enables you to travel wherever you want within specified areas, and as much as you want, within one or three 24-hour periods. They are valid on all Västtrafik vehicles, including all trains except the X2000. On their website, you can read more and check out the timetable. There are two airports, Säve and Landvetter. Säve is a tiny little airport where budget airlines such as Ryan Air flies. It takes about half an hour with the Airport bus to Gothenburg center. A ticket costs 110 return and 60 one-way. Landvetter takes about the same time with Airport bus, and tickets cost 150 return and 80 one-way. There is also a big harbor where Ferry’s go between Norway, Denmark, UK and Germany. Stena Line is the major company that runs between the countries. Kville Hotell Bed and Breakfast – Free breakfast, Free linen and Free internet. SlottskogensVandrarhem – Right by Slottsskogen park, close to bars, cafés and shopping. Lastly, we will be living here for the next 5 months (before we travel again), so if this blog has inspired you to come visit Sweden, we would be more than willing to meet up and show you around – just send us an email! I live in Gothenburg, Sweden’s second biggest city and also Sofia’s home town – Gothenburg has so much to offer, but my absolute favourite getaway is the archipelago. The first time I set foot on Styrsö it was love at first sight – when stepping off the ferry, the first thing you see is an adorable old-fashioned garden café – with beautiful white-washed villas from the turn of the 20th century lined up along the promenade. There are two shops on the island, as well as a lovely place to go swimming called Utterviken – it’s an island with a hint of romance where time stands still. Asperö is a recent discovery for me and a new favourite on my list – it is the island closest to the mainland – just 9 minutes from the port of Saltholmen. Small, picturesque Summer cottages and newly built villas are huddled on a small land mass. There is an ice-cream kiosk, and one shop on the island which is reminiscent of an old-fashioned Swedish country grocers. If you walk towards the island’s sole swimming beach, you can take a short climb to a look-out – it has a stunning view over all Asperö and also parts of nearby Bränno. Asperö is quite simply a perfect island for a Summer picnic with a Swedish sea view. Brännö is one of the biggest of the islands with approximately 900 permanent residents – it is unique in that it is not a fishing island like the others, rather, agriculture is the biggest industry there. The island has rich bird life and wonderful nature to walk in – you can also paddle sea kayaks from there. Köpstadsö is like a little sugar-sweet praline in a bag of island-candy. There are only footpaths here – cars are not allowed on the island – you can see many of the 100 residents driving around on mopeds carrying tools on the narrow, winding roads. There are many small picturesque houses and gardens. The genuine island feeling is made stronger by the fact that there is not one single shop on the island. A tip is to take your own picnic with you to eat on the rocks, to the sound of the gently rolling waves and seagull serenade. When traveling to Sweden, make sure you visit the charming coastal city Gothenburg. It is not the capital city of Sweden, it’s not the largest city, it doesn’t have the best ‘old town’, but there is something about the city that just makes people fall in love with it. 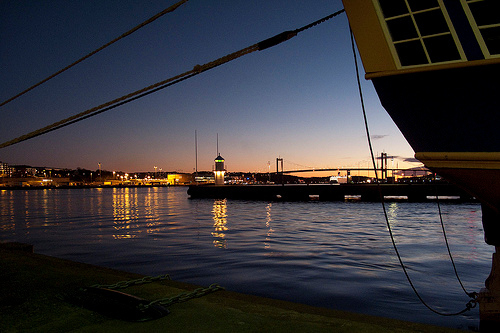 Gothenburg is a relaxed city with some great things to see and do. Slottsskogen is among the top attractions of the city: a green paradise which offers the best setting for a picnic to relax one’s mind after stressful workdays. The park also includes a zoo with a large bio-diversity of animals, which offer the best sights for people who want to explore the park and take nature walks. The two tower hotels with the ponds that offer a view to the natural history museum. In summer, the park is often full of people hanging out on blankets eating, drinking and playing ball games. Across the highway outside the big park, is the Botanical Gardens, another huge park with beautiful plants and flowers to visit. Entry is free, but you can donate money if you like. Liseberg is among the largest amusement parks in the European continent, and the biggest in Scandinavia. It offers entertainment of the highest quality ideal for adults and kids, with plenty of crazy roller coasters. There are cafes, shops, restaurants and gaming facilities as well, and a big stage where performances are held almost every day. Universeum is one of the coolest museums in the country. It’s a hands-on science museum where kids will have heaps of fun testing the different educational scientific machines, walk through the big aquarium full of exotic fish and sharks, pat the sting rays, and walk through the man made rain forest with monkeys, sloths and exotic birds. This museum is fun for both kids as well as adults, and as it’s located just outside Liseberg you can manage to fit both of those into the same day. A visit to Sweden is a rewarding experience that enables individuals to sample some of the best bio-diversities the world has to offer. Tourists should make sure to carry a souvenir or photos of their experiences to keep the memory alive. Despite coming from Sweden, a neighboring country to Finland, and despite the fact that they even speak Swedish as a second language and that the country was once part of Sweden – I never had any real plans on visiting Finland. It seemed like a beautiful country, and the thought of visiting northern Finland and go dog sledding would be an experience of a life-time. But it also seemed so… distant…Finland is a beautiful country and a great travel destination with many attractions any time of year. Helsinki has been the capital of Finland since the early 1800’s, although it was founded in 1550. 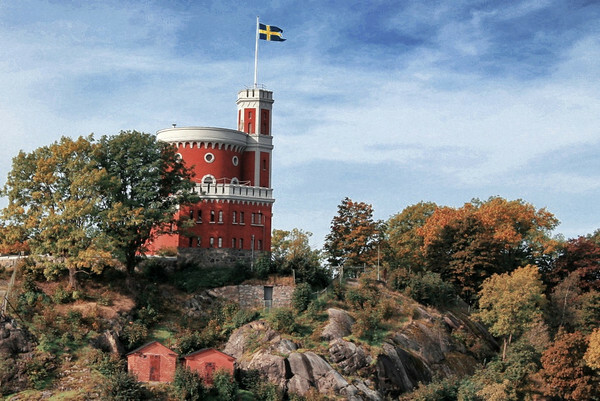 Helsinki boasts many interesting places to visit including the largest military sea fortress – Suomenlinna Fortress. We’ve arrived in Helsinki, and we’re going to explore Helsinki- the capital city of Finland. We’re going to start by visiting the Ouspensky Cathedral built in 1869. The five domes on top are actually covered in 22 carat gold. It’s the largest Orthodox Church in Western Europe, which is kind of funny because only 1.1% of the Finnish populations are actually Orthodox. Let’s have a look inside. Helsinki Cathedral which has become sort of like the icon of Helsinki and I think it looks really cool from the outside…and white. This colorful marketplace has a cheerful atmosphere that you will love. Located on the harbor, there are many vendors who sell fresh fruits and vegetables, a variety of sea foods, pastries and souvenirs. Take your pick of the many outdoor cafes or enjoy lunch at a boat restaurant. Stroll along the Esplanade while you’re there to experience many of the historic sites in the city. 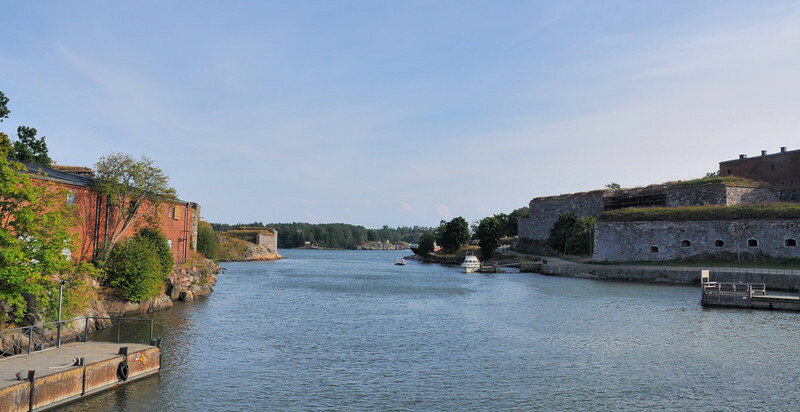 Catch a ferry from the harbor near Kauppatori to this military sea fortress that was built in the early 1700’s. It continues to be a royal residence and it a UNESCO World Heritage Site. Visit museums, enjoy the unique architecture, go shopping and dine at the cafes and restaurants while visiting. 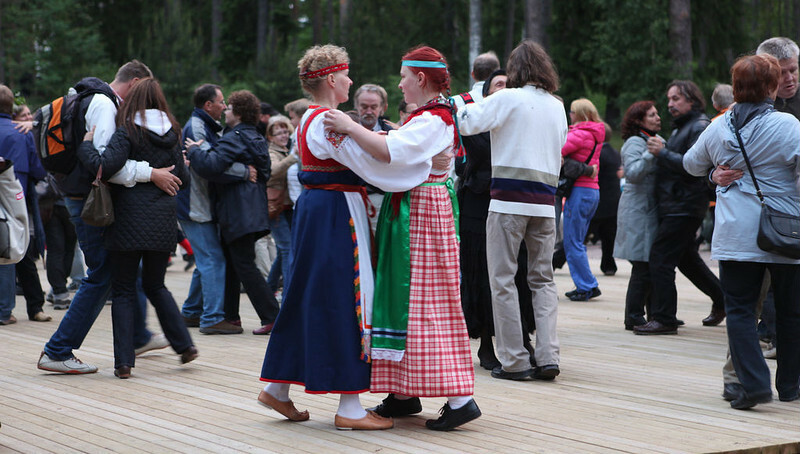 Accessible by bus, you can experience life in Finland dating back to the early 1600’s on Seurasaari Island. After passing over a beautiful bridge to the island, be sure to visit houses set up with guides dressed in time period attire. Be sure to ask questions of the guides to get the most out of your visit. Add a visit to the old church to your itinerary and on return to Helsinki, stop at the Bronze Age Village which is very interesting and well worth your time. Wonderful fun for the whole family, the Linnanmaki Amusement Park has a variety of rides including a popular wooden roller coaster. There are arcades and a variety of outside performances for you to enjoy. The park is open from early May through September. 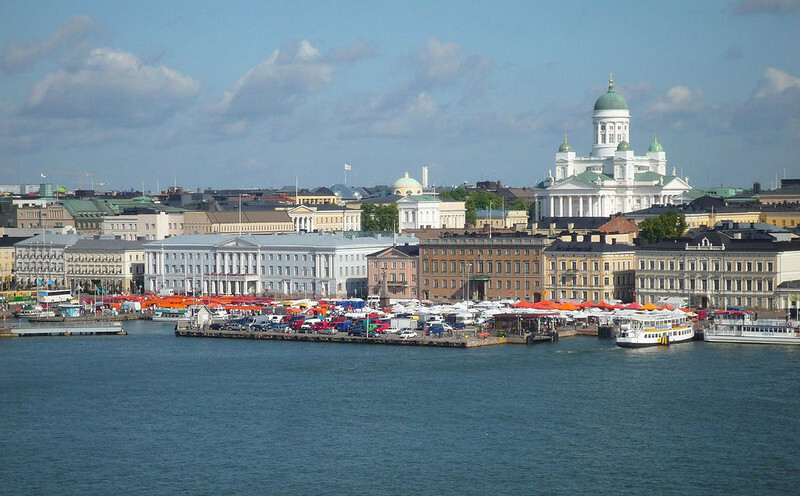 Helsinki, Finland is only one of many interesting ports in this area that you can enjoy when taking a cruise. If you’re planning on visiting Iceland or Northern Europe, you may want to check out a cruise with a port stop in Helsinki. Sea Enrichment Voyages, for example, combines learning with fun across unique destinations in this areas of the globe. A Quick Meeting With Santa Claus – Despite coming from Sweden, a neighboring country to Finland, and despite the fact that they even speak Swedish as a second language and that the country was once part of Sweden – I never had any real plans on visiting Finland. I’ve traveled to all corners of the world, all the way down to the other side of the globe to New Zealand – but for some reason Finland seemed harder to reach. I know it doesn’t make any sense at all, and luckily, with the Europe Train Challenge, I finally – at the end of the whole thing, managed to reach Finland. I didn’t know very much of the country. All I knew was that in Sweden you call it ”the land of the thousand lakes”, that they are the kings of Heavy Metal and that they speak the loveliest, most adorable Swedish accent. The one thing which surprised me on our visit to Helsinki, was the atmosphere. I had heard that the Finnish people were distant, cold and hard to reach (just like my view of the country itself had been), but they turned out to be quite the opposite: warm and welcoming. The people acted more like people do in small towns and on the countryside. They were more than happy to speak English, the open-air markets seemed more like those in eastern Europe, and a small question to a guy in a bakery led to him excitedly telling us all about the Finnish cuisine, its tradition and what his mother used to make for him as a child. But I think the absolute best memory I will have of Helsinki was that of 5 am in the morning on the day we were leaving. Turning around, we saw an old man with a long, white beard and a large round belly standing in the doorway. He held up the door as we ran across the street in the rain, and entered a small room packed with unorganized papers and dolls from floor to ceiling. He introduced himself as Santa Claus – and there was no doubt in my mind that it was actually him. He had it all; the beard, the body, the potato nose, the round glasses and that gruff grandpa voice – it was the most unexpected ending to our stay in Helsinki, but where else would you meet Santa than in Finland? 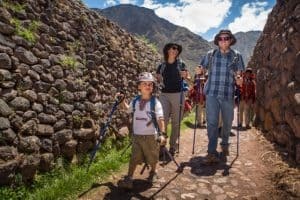 Whether you’re an avid traveler or just want to take an unforgettable trip with your family, you will first want to start by choosing a suitable destination. The truth of the matter is that the possibilities are enormous, if not endless. Nonetheless, some destinations will prove to be more exciting than others. If you wish to visit a beautiful kingdom with a thriving economy and a rich history, you should definitely consider making Norway your destination. By visiting Norway, you will be able to immerse yourself in beautiful landscapes, while simultaneously reliving the age of the Vikings. Below, you will find tips for ensuring your tip is fun, enjoyable and unforgettable. While Norway is only home to fewer than 5 million people, it is essential to remember that the country itself is enormous. The population is also very sparse. Those traveling to the country for the first time will often misunderstand the long travel times and the dense population. When venturing to Norway, you will need to carefully consider your choice of transportation. Renting a vehicle is a good idea. You’ll most likely find yourself driving over long distances, without seeing any attractions and only a few people. Nonetheless, this is one of the reasons that many people love the country. While there is plenty to see and do in Norway, the country itself tends to be the main attraction for most tourists. This is the case, because the landscapes and mountainsides of Norway are absolutely jaw dropping. The country is home to several lively cities, but many tourists will simply find themselves mesmerized by the stunning beauty of the country’s forests, lakes, and mountains. With this in mind, you will definitely want to bring a camera along. With a little luck, you’ll return home with many amazing photographs that will make your friends and colleague envious. If you wish to see Norway’s most amazing sights, you should consider investing in one of the best Norway travel packages. A travel package will provide you with a tour and make it possible to see many beautiful sights in a short duration of time. When venturing to a foreign country, it is often essential to take precautions and protect yourself along the way. Some countries are fairly unsafe and others can pose many health risks. This will not be a problem with Norway. 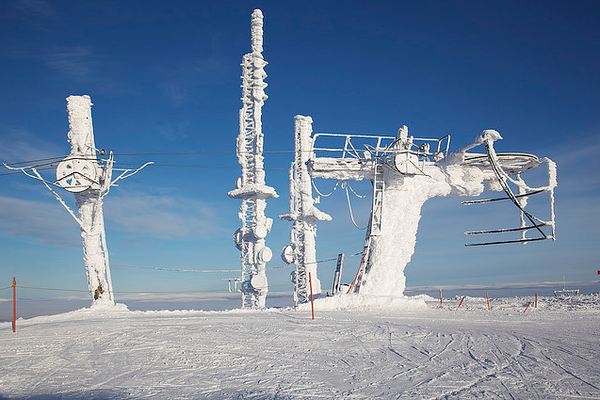 The truth of the matter is that Norway has high standards in terms of health and safety. In fact, guests will usually not have to worry about their safety. If you visit the country during the summer, daylight will stick around for virtually 24-hours and this helps to stave off thieves. At the same time, the country’s tap water is very high-quality and can be consumed without any worries. Just be cautious of Mother Nature. Try to stay a moderate distance away from waterfalls and glaciers. When visiting Norway, you will definitely want to experience some of the local cuisine. Nonetheless, it would be a bad ideal to eat at the most expensive restaurants for the entire duration of your stay. Instead, you should opt for cheaper cuisine more often than not. Stopping at a supermarket is generally a good idea. The country’s supermarkets will offer plenty of delicious foods at good prices. You should also consider making a detour at one of the many pizzerias. These establishments will provide you with scrumptious foods at a bargain. And of course, the money saved can be put towards other aspects of your trip. One of the best ways to educate your children on Norway’s history is to take them to visit the country. Norway is made up of 19,520 kilometers of water and 304,282 kilometers of land, with a population of over 5 million people. Harald Fairhair unified the Viking kingdoms in 872 AD. The Norwegians chose to settle in various areas, including Iceland, Scotland, Ireland, Dublin and Faroe Islands. In the 14th Century, a king reigned over both Sweden and Norway, making the countries unified. By the end of the Century, Denmark also joined the unification and this was during the Kalmar Union. Traveling to Norway for the first time will be slightly difficult, since there will a language barrier between you and the Norwegians. The best way to overcome this barrier is to learn the most basic words and terms of the Norwegian language. You should definitely invest in a Norwegian language guide. It also wouldn’t hurt for you and your family to enroll in language courses. By learning the native language, you will be more prepared to communicate with the locals. Just knowing the basic pronunciations and vocabulary, you will be able to seek assistance in the event of an emergency. You will also be able to communicate with the local business people. Overall, you and your family will have a better travel experience. 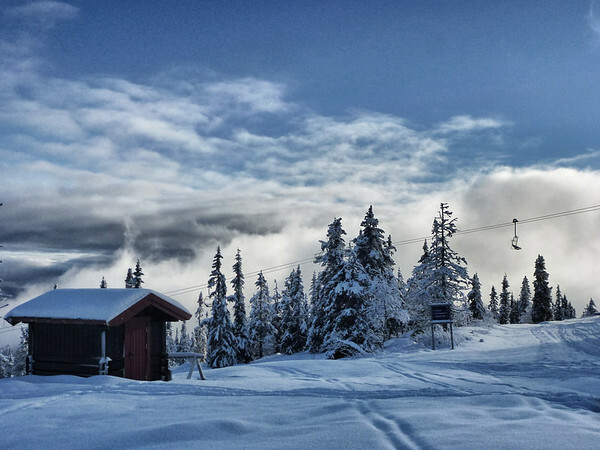 Whether you’re traveling to the southern or northern parts of Norway, it is almost certain you’ll find yourself shivering at some point or another. And, you may also experience a great deal of snowfall. The southern and western portions of the country tend to experience milder winters than the eastern and northern portions. Nonetheless, it is essential to pack the appropriate clothing. Bring along a warm jacket. If you wish to avoid the colder areas of the country, you should remain near the capital of Oslo. Also, some southeastern portions of Norway experience warm summers. Nonetheless, a jacket is recommended. If you want to be able to enjoy the outdoors and do a little sightseeing on your trip, you will need to choose a climate, with the best weather conditions. The country’s high latitude and location, which mostly north of the arctic circle, makes for a very cold winter and moderately warm summer. However, the warm periods are limited, so be sure to pack an abundance of warm clothing. Norway is the beautiful but kind of strange country, where you can find the strangest of foods, parks crowded with naked statues and the most beautiful views. It is also one of the most expensive cities we’ve been to. You think Denmark is expensive? Then go to Oslo Norway and you will laugh at the mere thought of it, in Oslo you can experience first hand what expensive really means. I never thought I would say “let’s wait to buy that until we get to Sweden”, as prices were pretty much half there. YES – Sweden is cheap compared to Norway. On our way to Oslo, we stopped over for two days in my hometown Gothenburg Sweden. Having the luxury of home-cooked meals, catching up with friends and a foot-bath was well needed. I hadn’t realized just how badly my feet had been treated until my mother made that ”worried” remark about my blistered feet. Those are things you really don’t have time to think about when you’re traveling, and getting those small every-day luxuries made me long for some time in one place. It was pretty, small and had beautiful nature – which pretty much seems to sum up the whole of Norway. I’ve never seen any other part of Norway, and I’m dying to see the fjords and northern parts of Norway. I will make sure I get to see it within a year. For some reason we saw more homeless people and druggies than in other parts of Scandinavia. A bad place to be if you have no money, it’s pretty much double the prices of Sweden – and that in itself says something about the costs! Oslo Norway – Expensive And Lots Of Swedish People! I’ll probably get a lot of people disagreeing with me on this, and maybe I’m totally wrong to say it. But Oslo didn’t leave much of an impression on me. It was small, cute and nice, but I have a very strong feeling that the country side of Norway, places like Bergen and Stavanger – are completely different and amazing. I can hardly wait to organize a trip to Bergen, Tromsö and the fjords, but Oslo? Well, this time it was a bit of a lukewarm experience, which is ok, you don’t have to love every place you visit. In Oslo you can experience first hand what expensive really feels like. Yes, Sweden is cheap compared to Norway. A local bus ride through town would cost you 40 NOK (7 dollars), and a take away pizza 246 NOK, 44 US dollars! I don’t know how all the homeless people made it through, it would have to be the worst place to be with no money. Understandably it’s not that easy finding cheap hotels in Oslo, but there are a few cheap hostels around and we made it through by avoiding eating out every night. Every second person you’ll meet working in a supermarket, shop, restaurant or hotel – is Swedish. According to the Swedish media (I don’t know myself if this is true), many young Norwegians don’t want these types of jobs, and meanwhile tons of Swedish people move to Norway and take any job available to save some money. It was crazy to see how many Swedish people lived here, and I can’t quite understand why. Yes, you earn more money, but you also spend a lot more – so in the end, doesn’t it even out? Oslo is surrounded by green pine forest, blue ocean and the typical Scandinavian red houses with white corners, it’s easy to get out of the city and experience more of the landscape that Norway is famous for, which was great. I will definitely return to Norway, hopefully soon, but next time I want to see what Norway is actually famous for, and see if it lives up to its rumors of being the most beautiful country in the world. 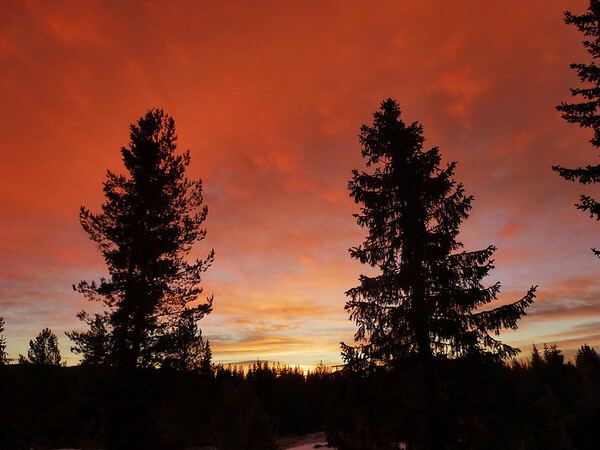 During our month in the woods of Norway we learned a lot about the beautiful country and its proud people – some things were exactly as we had expected (such as the overload of Swedish workers), while other things surprised us. Norwegians are happy – even when they’re not. Norwegians sound like they are constantly in a good mood – they even sound (and look) happy when they are mad, although that doesn’t seem to happen very often, as they tend to ‘look on the bright side of life’. Which proves just how optimistic and outdoorsy they are. In Norway, we never saw anyone paying with cash – anywhere…And pretty soon we stopped too. It’s the closest we’ve experienced to a country with a cashless society – you can pay with your credit card everywhere, even in the public toilets..! A friend of Nathan’s told us about the two years he spent living in northern Norway, and how people there seemed to get very stressed despite having so little to do. This is something we found equally true where we lived. As soon as something is slightly out of routine, they don’t know how to deal with it – so they simply choose not to deal with it at all, hoping that everything somehow, sometime, will work out by itself. They have an interesting attitude to life, which can be described as “if we don’t do it today, we’ll do it tomorrow”. I also have the feeling that they suffer from the same habit like us Swedes of the need to have “meetings” all the time – only to never quite come to a decision anyway. The sun sets all day. What struck us the most in Norway was how the sun looked like it was about to set the entire day – always low, and always orange. This had a strange effect on the landscape, which by the way was already pretty odd in itself – the nature with its endless rolling hills and winding river was beautiful, but had an eerie vibe over it. 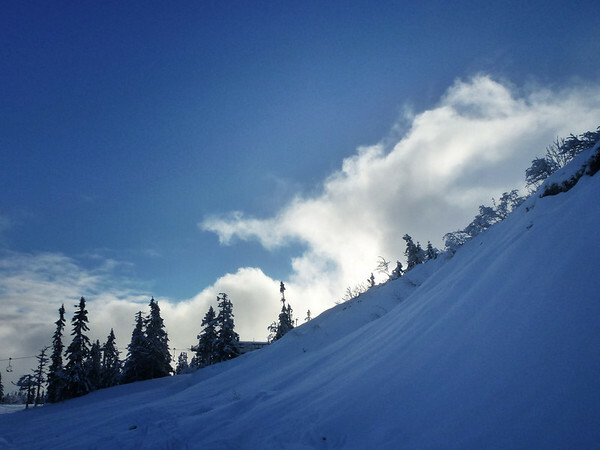 Skiing from the top of the mountain kind of gave you the impression that you were skiing on a different planet. Midnight sun and polar nights, extreme temperatures and dramatic landscapes, all this awaits visitors to Spitsbergen Norway. Arctic cruises up to the Svalband archipelago is a simply unforgettable experience. 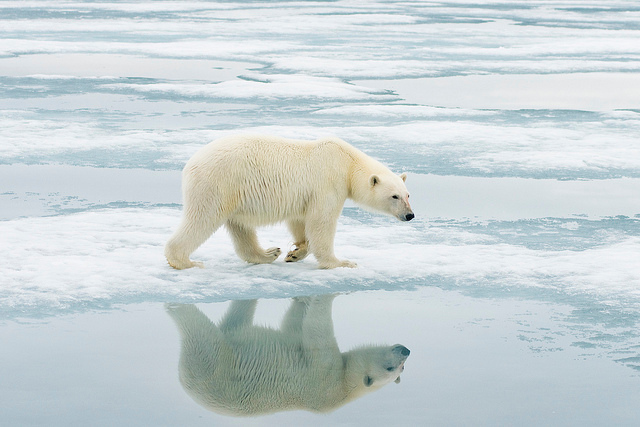 This is one of the best places in the world to see polar bears and a number of other wildlife that live on the ice floes, such as walruses, reindeer, foxes, seals, and seabirds. The population of the archipelago is just 3,500, divided among small settlements. 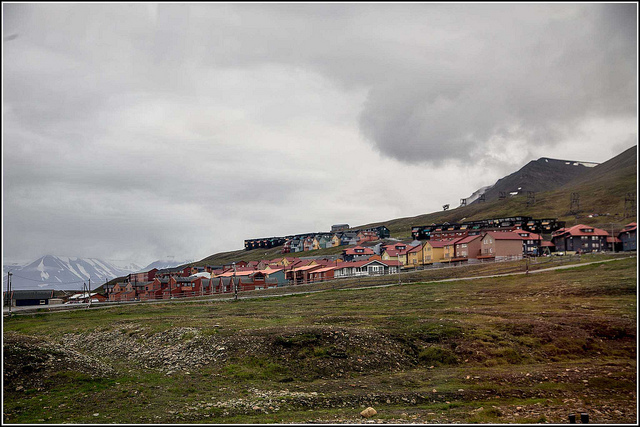 Longyearbyen is the capital of Svalband and has the most inhabitants at 1,800 people, and is worth a day’s exploration. This area started out as a whaling site in the 17th and 18th centuries, and then saw a resurgence for coal mining. Visitors can explore these old mining towns, some of which are deserted while others remain inhabited. There are also kooky legends of UFO crashes in the area. However, the main attraction here is the fantastic natural scenery, and the best way to experience this arctic environment is through a ship-based excursion. It’s possible to live an outdoor experience with the commodities of a cruise ship, you can focus on exploring the glaciers, fjords, tundra, and alpine scenery of the region. 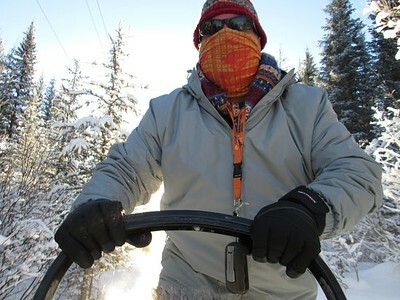 Snowmobiling, skiing, trekking, and kayaking, are popular daytime excursions, and exotic activities such as kite-skiing and dogsledding are also possible. 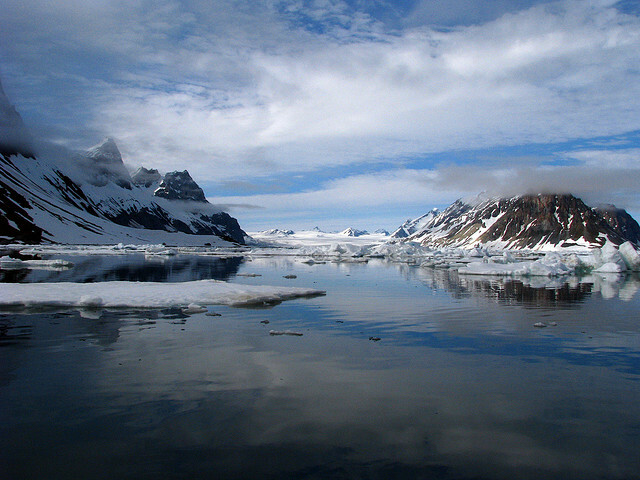 Less-adventurous types can enjoy taking zodiac boats out to observe wildlife and simple walks across the icy terrain. The best time to visit is from June to September when the famous midnight sun occurs. This far north, the sun never sets! This means any time of day or night is fine to explore the region’s six national parks. It’s equally possible to visit in the off-season, but be forewarned that the temperatures are extremely cold and the polar nights are very long. 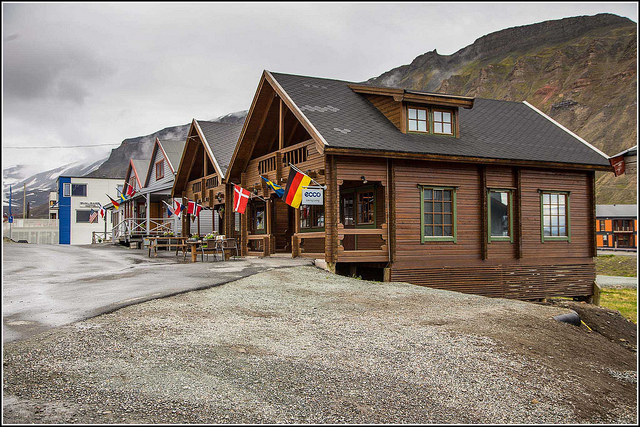 Once you arrive, be sure to check out the museums in town in Longyearbyen to better understand the history of the region including the strong Russian influences, and stop and shop at local art galleries for souvenirs. Karls-Berger Pub Café is a great place to warm up by sampling some of the thousands of whiskies, brandies, and spirits available. Although it may be chilly, Spitsbergen, Norway, is an unbeatable destination for arctic adventure and epic sight-seeing. Those who have climbed Mount Everest often say it changed something in their relation with mother nature. They realized that she was more than a commodity, more than just a piece of land. Many say they gained a new respect for her, and realized that not only is she alive, but she is powerful and has her own will. Climbing that mountain made them see how small and helpless we all are in her hands. That sort of relationship with nature is becoming increasingly rare in our world today. Being brought up in cities and locking ourselves inside with electronics, nature has become a stranger and is something we fear rather than love. But on the Scandinavian countryside, that quiet, solemn energy that has become so hard to find, is still there. There is something so pure and serene about the countryside of Norway that is really lovely, and for some reason being outside there makes you feel more energized than usual. Sadly, many people today don’t like being outdoors. I used to be like that myself, but traveling and learning to ski changed all that. I learned to love winter, to see the opportunities in nature, to be like a child again, and most importantly: to trust myself. Nature can be boring, if you don’t know what to do with it, scary, if you don’t trust yourself, and dangerous, if you don’t respect it. We visited Copenhagen and Helsinki this year. I wish I had read a guide as helpful as this for those cities before we went. We definitely had some major sticker shock in Copenhagen. Great tips. I lived in a few cities in Denmark before becoming a nomad and yes, it’s crazy expensive. 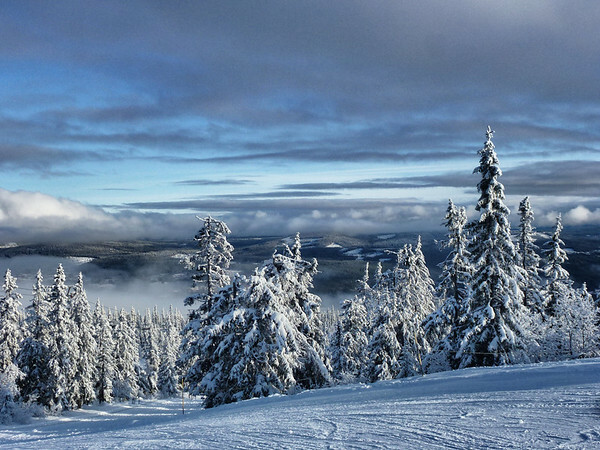 These tips will help people unlock the beauty and amazingness of Scandinavia though. Another tip is to look into ferries. Sometimes they can be cheaper than flying, though Norwegian offers good fares within Scandinavia when tickets are purchased in advance. Great post! Thanks for sharing these useful tips with us! I’m sure there are a lot of people who could benefit from this advice. Nice to read some information about this often overlooked destination. Hi Sofia, I think Sweden is a wonderful place. And it just got even better with your post. The food looks amazing. I guess it’s time to plan a trip to Sweden with this guide. Fabulous tips there! If I get to Sweden I am so checking these out! Great tip about the ferries. Stena Line does a great route between Gothenburg and Fredrikshavn which is close to beautiful Skagen. I imagine that ferries are a great alternative when traveling through Denmark. Great info on the public transportation and supermarkets. Can you use public transportation to start nature hikes or would you need a car for that? Hi Ayelet, glad you like the article. Whether there is public transport to nature hikes or not depends a from place to place, but generally speaking nature is very easily reached in Sweden and there are often buses you can take to get there, so it shouldn’t be a problem. In Gothenburg and Stockholm, for example, it’s very easy to get to the countryside and take walks. 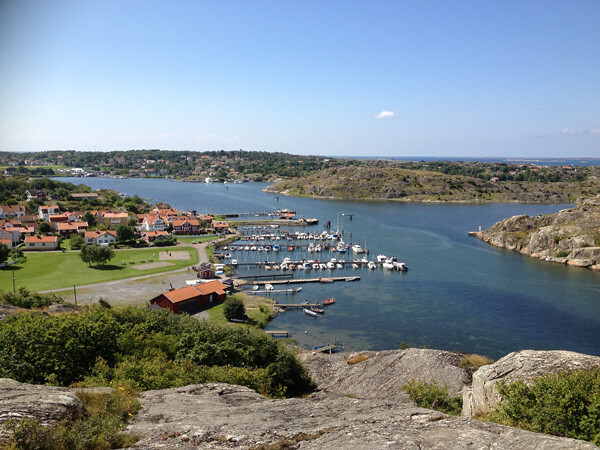 Popular walking places like Österlen and Bohuslän are also good with transport. Hey Sofia. My twin brother and I are 14 years old and really want to travel the world in the future. We know almost everything there is to know about the world. We found your Europe challenge videos last night, and were amazed. I was so shocked that you could get so much done in such little time. I think when we go to Europe, we will spend more time in larger cities. The region that is probably our favorite and that we study the most is Scandinavia. We find Denmark, Sweden, Norway, Finland, and Iceland truly spectacular. I was just wondering, how expensive is it in Norway? How deep have you traveled in Scandinavia? What was your impression? Thanks! I’m so happy to hear you liked our videos from the Europe train challenge, and it’s great to hear you’re interested in traveling to Europe. Scandinavia is amazing, and since I’m Swedish I’ve been fortunate to spend a lot of time there. In my experience, Norway is the most expensive country, followed by Denmark and Finland, Sweden is slightly cheaper. Oslo also tends to be more expensive than smaller towns in Norway (a hamburger with fries costs around 9 Euro). The cities in Scandinavia are wonderful, and I would highly recommend you check out some of the countryside as well – that’s what Scandinavia (especially Iceland) is most famous for! Thanks for so much info.. I am planning to move to Sweden soon. And was wondering how will I be able to save some money while travelling and living there . Is there any way or website or twitter handle ..one can connect with expats or such info like u shared which may be handy and act as a guide during my stay there.. Thanks for the information! I’ll definitely use it when i travel. (Which will be in only a few years) I wanted to know, is traveling in Europe more expensive or cheaper than traveling here in America? (If you’ve been to America) Also, my family and I have been looking into an exchange program to Barcelona for around 3-4 weeks this summer. I saw in one of your videos that you enjoyed it, although it was quite hot. 🙂 Do you recommend going as a 14 year old? What is the vibe like in the city? Finally, how do Europeans feel about Americans travelling to their countries? Are they unwanted in some places. Writing this, I’m thinking back to your Belgrade vid, and i remember how the women at the fortress you went to. I also recall they said, “Why you bomb us, English? Great to hear you’ll be moving to Sweden! There is a lot of good information about moving to Sweden and things you need to know on this website: . For an expat forum for people living in Sweden check out . Hi Nathan, glad I could help. I haven’t traveled much in America, but I believe that it depends on where you go. In general, eastern Europe is cheaper than western Europe, but there are some cities and countries in western Europe that are surprisingly cheap (Berlin for example). The Baltics is also cheap. Barcelona is fun, and although it can get hot in summer there are some really nice beaches in the smaller towns nearby (there are beaches in the city too but they’re not as good). Americans are welcome in Europe, and the incident in Belgrade was very rare. While most Europeans might not agree with the politics in the US, they have nothing against the people and treat them the same as everyone else.